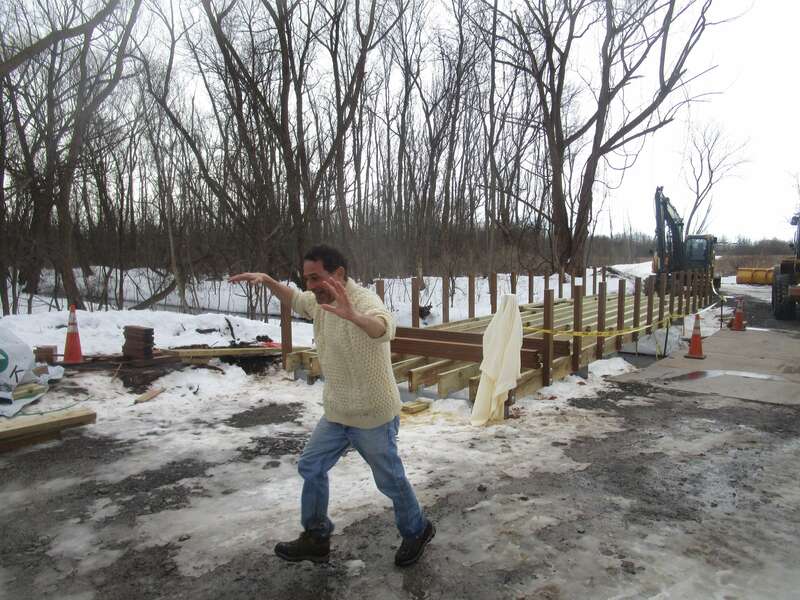 The other day, I and a friend were walking the newly constructed Brickyard Trail in Brighton (where we’ve been before). Enjoying our amble on the picturesque snow covered trail, we abruptly had a shocking encounter. 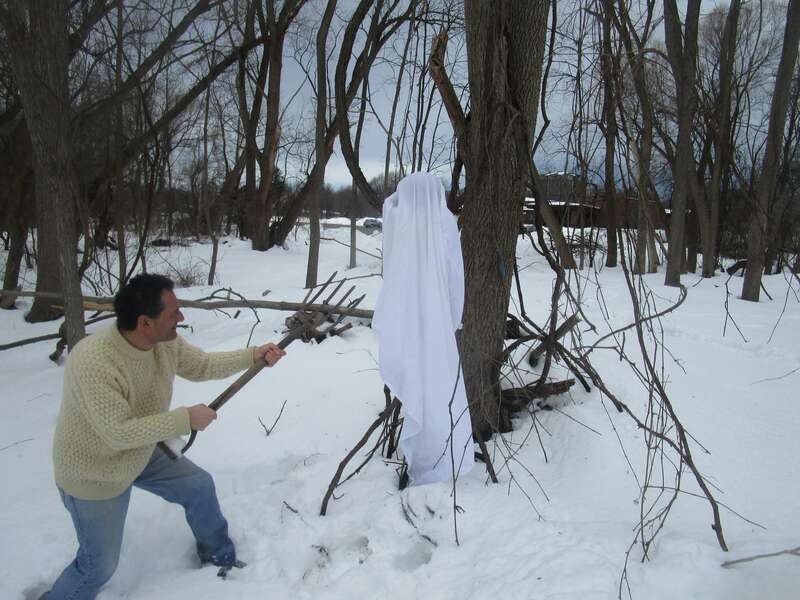 From the wooded area we heard faint but distinct voices that could only be human. First a male voice; “Irene, I am so sorry.” Then a female response; “John, I can never forgive you.” More uncanny rustling and what felt like approaching presences. Terrified — caught on her camera — we ran, speechless. 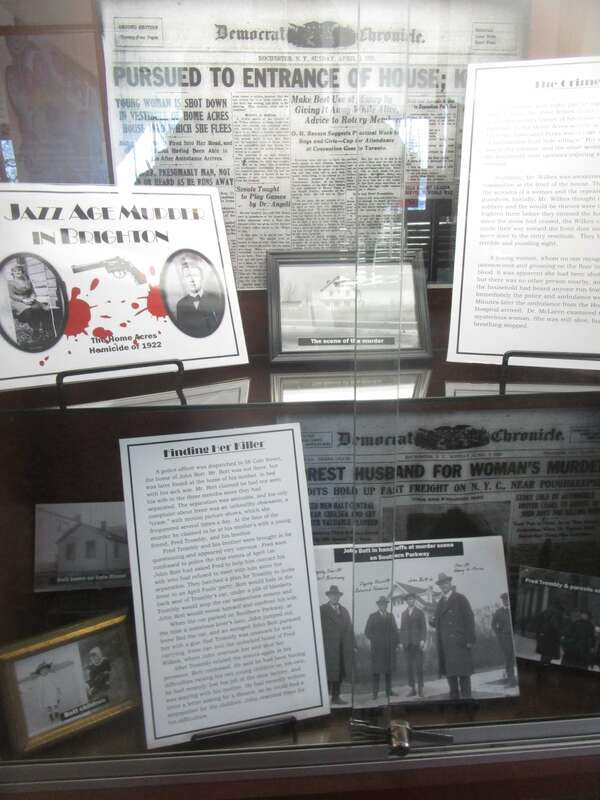 By sheer coincidence, our next stop was the Brighton Memorial Library where librarian Matthew Bashore has created an intriguing display on the famous 1922 Brighton murder. As we read about the grisly and still mysterious circumstances of the case, we saw the names of victim and perpetrator: Irene and John Bott! Shaken, we found Matt. Fortunately, he reassured us that our seemingly other worldly experience was merely an optical illusion caused by the sunlight glancing off the snow banks. 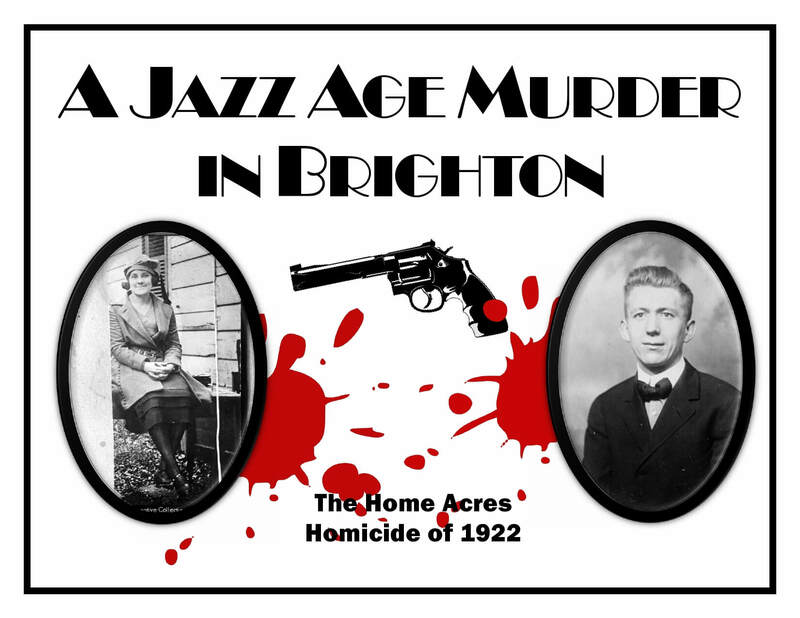 When doing research on display topics for the Brighton Bicentennial in 2014, I came across about a dozen photographs on the library’s Rochester Images database on a murder that took place in 1922 in Brighton’s Home Acres neighborhood. Of course, it didn’t seem the type of topic that was suitable for a bicentennial celebration, but even the brief paragraph that accompanied the photos told a fascinating story. I began to do more research, and the story got better and better. 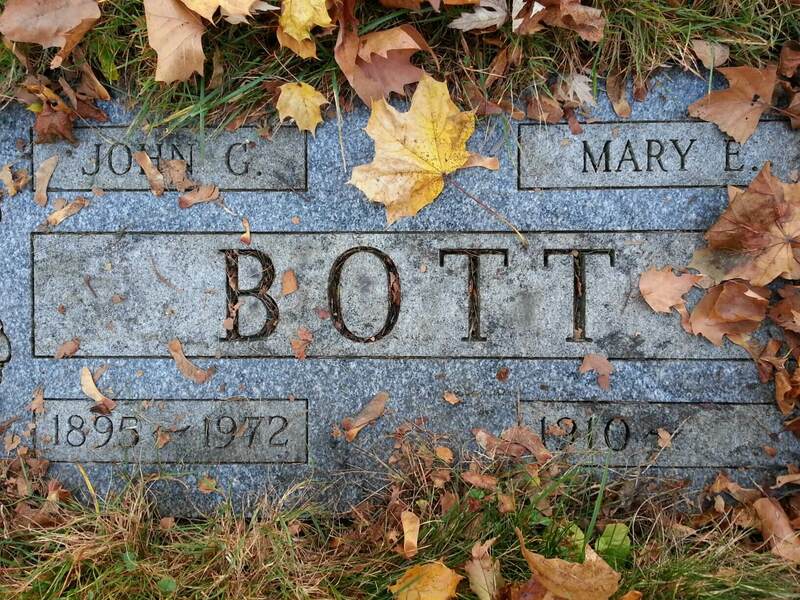 The story even got personal, when I found out that over the past ten years I had strolled past the murder victim’s grave hundreds of times as I walked my dog through Irondequoit cemetery. 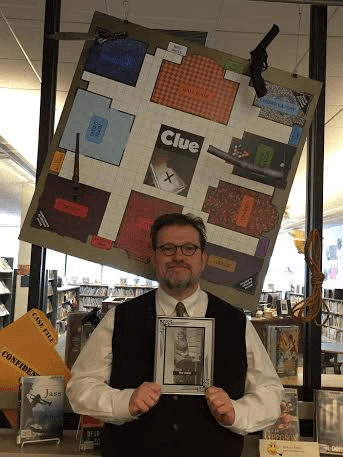 I just had to share John and Irene’s story, and Murder Mystery Month at Brighton Memorial Library seemed the perfect opportunity. Below, is a little tease. As for the rest of John and Irene’s passion play, you’ll have to pay the Brighton Memorial Library a visit. 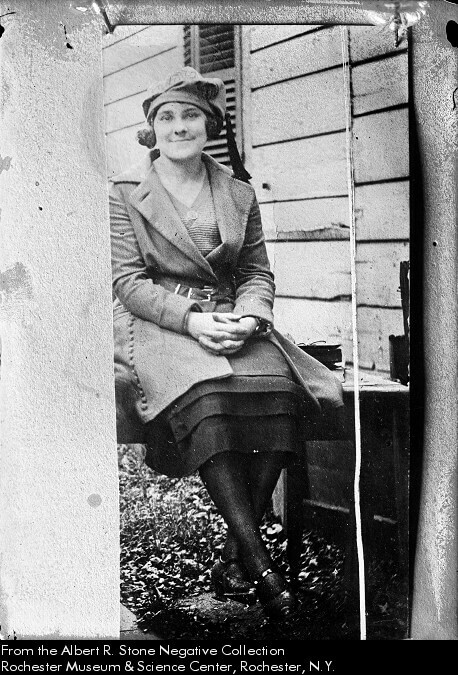 At a quarter past eight, just as night fell, on April 1, 1922, Mr. Fred Wilkes dozed off on the couch in the downstairs library of his home on Southern Parkway, in the Home Acres section of Brighton, a town the Associated Press would later refer to as “a fashionable East Side suburb.” His sister Caroline was in the kitchen, and the other seven members of the household were upstairs enjoying a peaceful evening.Suddenly, Mr. Wilkes was awakened by a commotion at the front of the house. The family heard the screams of a woman and the repeated sound of gunshots. Initially, Mr. Wilkes thought it might be a robbery and the would-be thieves were trying to frighten them before they entered the house. But since the noise had ceased, the Wilkes cautiously made their way toward the front door and opened the inner door to the entry vestibule. They beheld a terrible and puzzling sight. 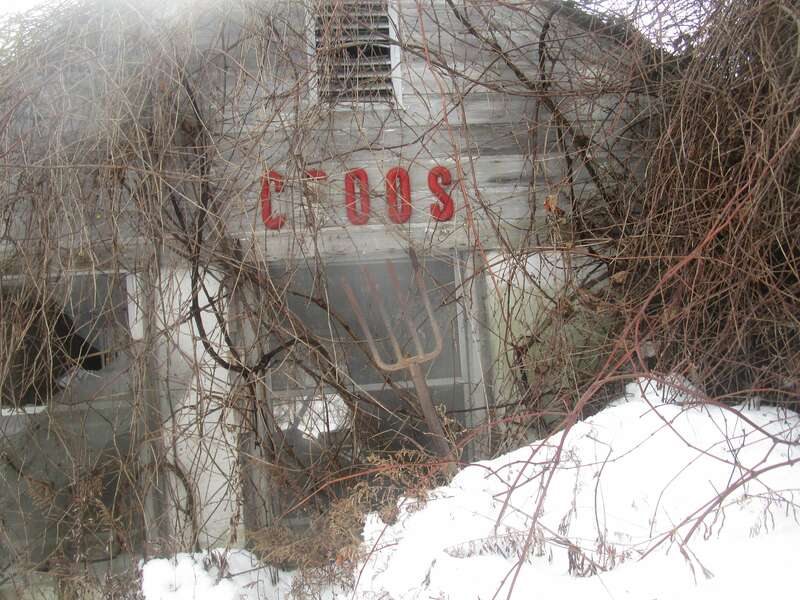 While firmly convinced there are no ghosts, some strange activity has been noticed at the abandoned farmhouse near the Brickyard Trail. Hmm, that pitchfork wasn’t there last time we looked. A young woman, whom no one recognized, lay unconscious and groaning on the floor in a pool of blood. It was apparent she had been shot in the head, but there was no other person nearby, and no one in the household had heard anyone run from the scene. Immediately the police and ambulance were called. Minutes later the ambulance from the Homeopathic Hospital arrived. Dr. McLaren examined the mysterious woman. She was still alive, but soon her breathing stopped. "Is Google Making Us Stupid?” And how much of this will you read? Time to finally get a Smartphone? NYTIMES columnist Roger Cohen says it's already too late.